For attendance in San Francisco, RSVP is mandatory due to space limitations. Mind Uploading: A brief introduction into the philosophy, science and technology of mind uploading and whole brain emulation. Roadmap 2018: The Carboncopies status update. How do we map the structure of a brain? How do we record the response characteristics of its neurons and synapses? How is a working model generated with parameters defined by those data maps? Finally, how is a model brought to life in a real implementation of whole brain emulation? Kernel and Neuralink: Commercial efforts to bridge the machine-human divide. Carboncopies Technology Review: Launching this research project. 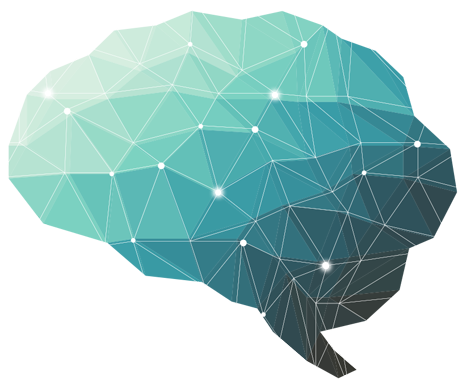 Special topic: Discovering Neural Circuits in Brain Data. Presenters include Prof. Theodore Berger (USC), Prof. Tony Zador (CSHL), Dr. Shawn Mikula (NIPS Japan), Dr. Adam Marblestone (MIT/Kernel), Dr. Randal Koene (Carboncopies, Chairman), Dr. Diana Deca (USC), Dr. Sim Bamford, and others. Everyone is invited to attend and participate. The workshop is designed to be accessible to newcomers. We look forward to your attendance and participation. See you there! A brief introduction into the philosophy, science and technology of mind uploading and whole brain emulation. In a world where physics, biology, chemistry, currency and even intelligence become code, our species can flourish only if we too come to grips with ourselves as information and information processes. Roadmap 2018 – Where are we now? The CarbonCopies status update. How do we map the structure of a brain? How do we record the response characteristics of its neurons and synapses? How is a working model generated with parameters defined by those data maps? And how is that brought to life in a real implementation of the whole brain emulation? In 2016 and 2017 commercial efforts emerged with highly outspoken founders who openly declare that their companies exist to create bridges between human and machine, and even to achieve neural prosthesis to lift up humanity. What do these companies contribute that is difficult or impossible in academia? And which new hurdles are presently beyond their reach? CarbonCopies is launching a deep and wide technology review for the living roadmap to whole brain emulation. The review will publish its results in all relevant technology domains. Here, we introduce our study of brain data gathering technology: What is the right resolution for a connectome, and what is the best technology with which to create a connectome? What describes the dynamic characteristics of components in a connectome, and how can you collect this functional data in a living brain? What other brain data may we need to obtain? A collection of data is merely a pile of numbers without functional models to populate. What, if any, effort has been made to build sensible, falsifiable and improvable whole brain models? The most promising methods for building accurate neural prostheses and brain emulations, how good they can be, and the main challenge ahead.